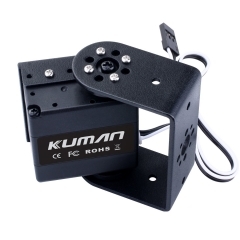 This Kuman Smart combat robot adopts the most popular design at present, such as intelligent programming, touch control, gesture control, auto display, laser cannon launching, dancing and singing etc, full of technological elements. 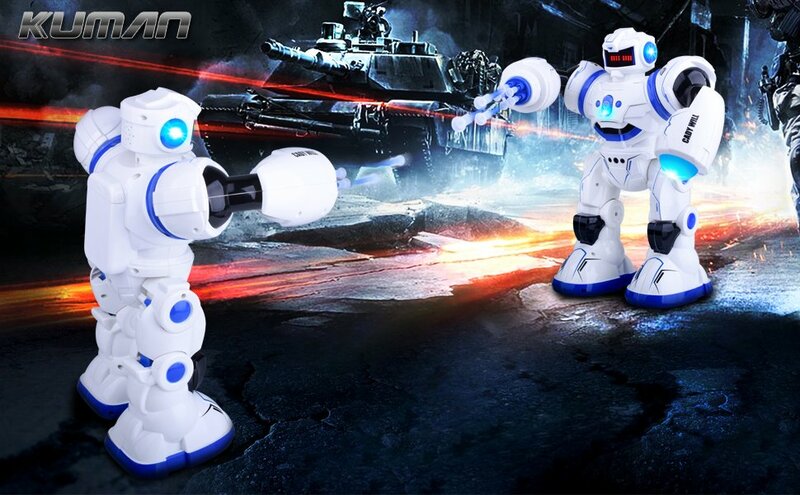 2.4G remote control is used for multiplayer without mutual interference, colorful LEDs and dual-color body make the robot more eyecatching. 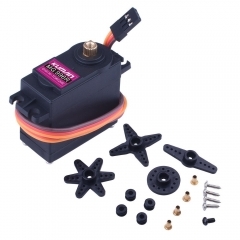 Large capacity provides longer playing time. Combat with your friends or children, have differently amazing experience. 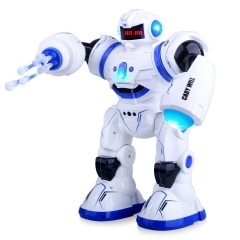 【Singing and Dancing】Dance to the beat with the robot’s beautiful melodies and sharp dancing movements.The robot has interesting LEDs in eyes,ears and chest, migic laser on arm.The lights make the robot look stunning and appealing. 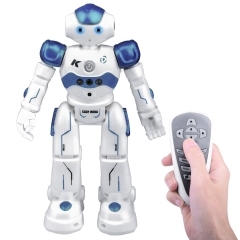 【Gesture Sensing】The robot toys can be controlled with an infrared sensor for detecting gesture to forward, backward, left and right . 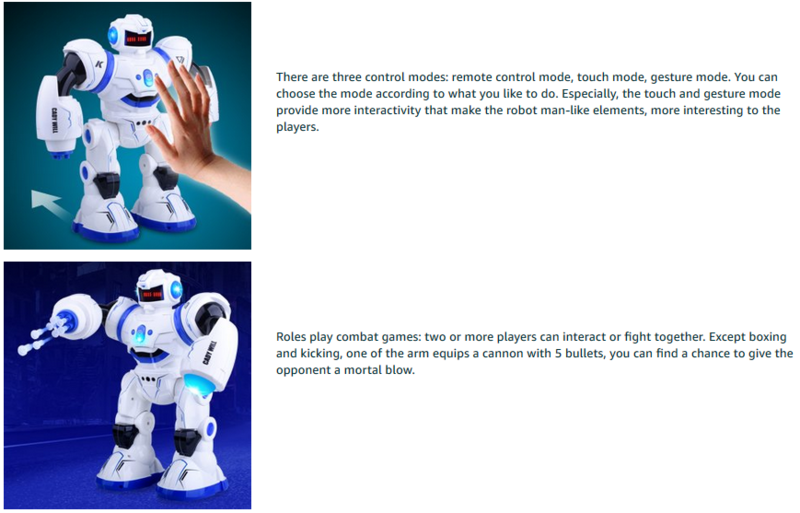 【Touch Sensing】Enhance interactivity between the robot and children. 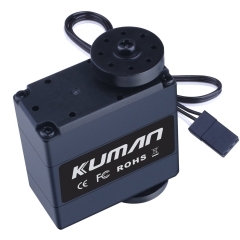 The robot can release skills by touching its head and shoulders, or shake the robot to get interesting voice. 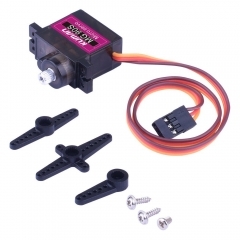 【Intelligent Programming】Players can design and program complex movements and replay them in turn, which is likely to stimulate players’ creativity and add new fun to the gameplay. 【Missile Launcing】Two or more than two players can engage and interact in a network to combat and shoot at each other, creating a role-play gameplay and bringing fierce ever combat experience.Super laser cannon can help you wipe out enemies. 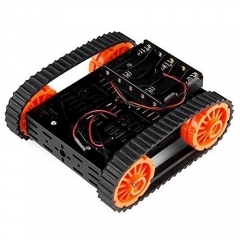 ● Walking and sliding modes: The robot can mimic humans actions to walk in slow space or slide fast to move forward. ● High quality loudspeaker:the surrounded loudspeaker outputs high quality and clear sound, delivering sound pronunciation for kids to follow. 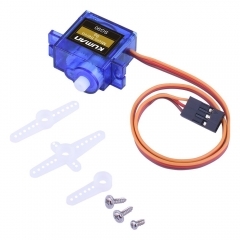 ● Bottom skating wheels: The skating wheels at the bottom help enhance the flexibility of the robots’ movement.